Determining the environmental sustainability of growing poplar for biofuels and bio-based chemicals has been an important part of the AHB project. 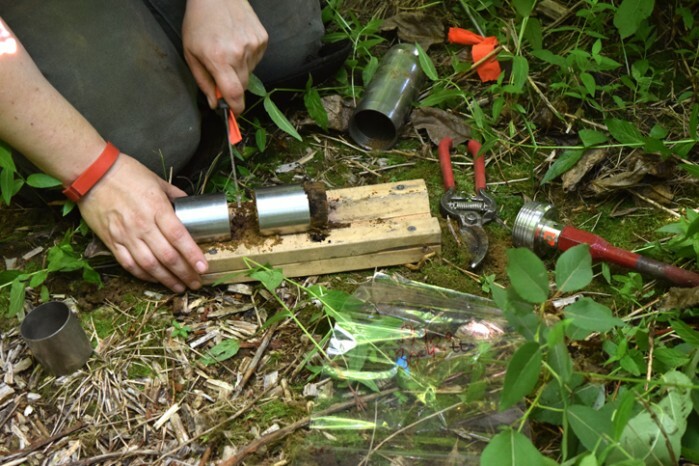 Over the past five years, AHB researchers have investigated soil and water impacts, wildlife presence and biodiversity, air quality concerns, and strategies for genetic containment of poplar bioenergy farms. Most of their research takes place at the four Advanced Hardwood Biofuels (AHB) demonstration sites, which, were chosen to represent different soil types and rainfall. 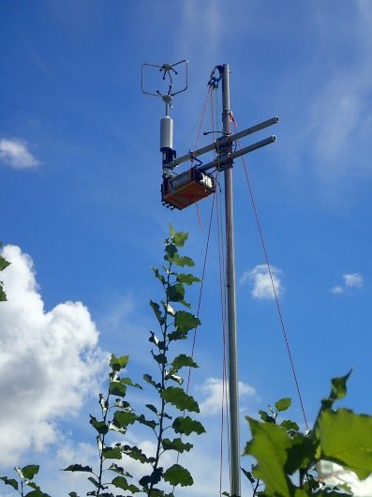 The diversity in growing conditions provides not only needed data on the growth rate of the various poplar clones, but also in-depth and wide-ranging understanding of the environmental impacts of poplar bioenergy farms. Mark Coleman’s lab at the University of Idaho has been down in the dirt studying how poplar bioenergy farms differ from neighboring wheat and hay fields in terms of water quality, nutrient run-off, and nutrient leaching. By testing the levels of chemicals like nitrate and phosphorus in the soil and water, they found that environmental impacts depend a great deal on the location and soil quality. This underlines the importance of having diverse demonstration sites. Overall, poplar bioenergy farms were not degrading the soil and water more intensely than the adjacent hay or wheat fields. However, the poplars in each of the AHB demonstration sites had different environmental impacts. For example, in Jefferson, OR, a location with nutrient-rich soil, the poplar fields were leaching significantly less nitrate into the groundwater than surrounding agricultural fields. In contrast, in Hayden, ID, a location with nutrient poor soil, the poplar fields were leaching slightly more than neighboring fields. Members of Mark Coleman’s lab show the Extension team how to take soil samples at the Pilchuck Demonstration Site. Steven Strauss, Amy Klocko, and others at Oregon State University are using both classic and cutting edge techniques to control the ability of poplar to spread through wind-born pollen and seeds. 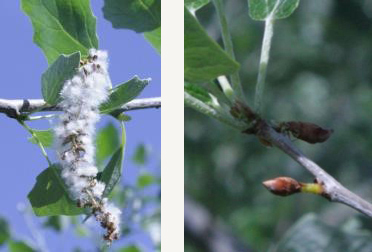 There are advantages to specialized breeding and genetic engineering of the poplar trees destined for biofuels, including the potential for drought-resistant or lower lignin content in the wood. However, there is concern over gene flow, i.e. pollen and seed movement, from hybrid or genetic-engineered trees. The Strauss lab has planted over 3,000 research trees near Corvallis, OR, with male and female trees of three different poplar clones. Using a classic technique known as RNA interference, they have been able to successfully “turn down” a key gene that controls flowering in poplars. They have also been testing a new genome editing technology called CRISPR-Cas9, which is inexpensive, easy to use, and allows permanent changes to genes of interest. At Portland State University, Todd Rosenstiel’s team is measuring the air quality at poplar bioenergy farms. In addition to absorbing CO2, some plants produce volatile organic chemicals (VOCs) that react with other gases in the air and can lead to ozone (smog) and exacerbate climate change. Rosenstiel and team developed a low-cost, portable method of measuring VOCs such as isoprene, which can react with NOx, a common and harmful emission from vehicles, to produce smog. 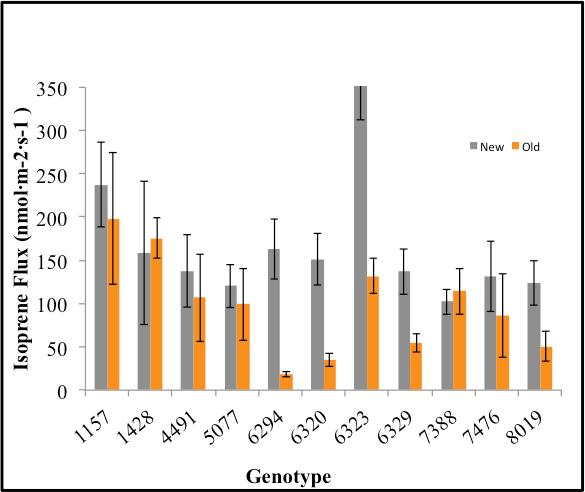 They found that poplar genetics play a large role in isoprene emissions–some poplars emit far more isoprene than others. Consequently, specialized breeding and/or genetic engineering may help reduce adverse air quality impacts. Overall, poplar VOCs are unlikely to create a problem unless the bioenergy farms are near industrial areas or cities with a high concentration of NOx in the air. New technology to test for VOC levels in poplar farms. By integrating the findings just outlined, AHB can develop detailed, specific growing guides that will ensure that the poplar trees are grown and harvested in a way that minimizes potential negative impacts on the environment. More research is needed in order to quantify the longer term soil, water, and air quality impacts, and the potential for genetic engineering. This work, along with research on wildlife impacts and greenhouse gas emissions, will help guide the commercialization of poplar for biofuels by showing the best areas for low-impact poplar production.